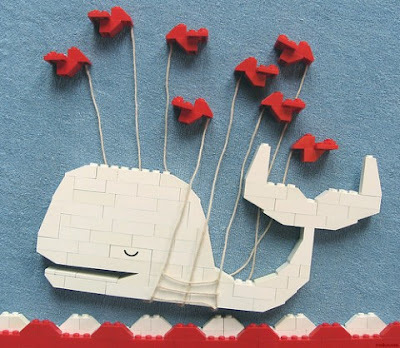 The Twitter Fail Whale by Bjarne P Tveskov, designer of some of the most classic LEGO Space sets ever made. I tried Twitter for a week, and I don't get it. But I can still appreciate this flying whale.